﻿ Triumph returns to Bonneville! The all-new machine is a largely American project supported by Triumph Motorcycles North America – just like Johnny Allen’s 1956 record. 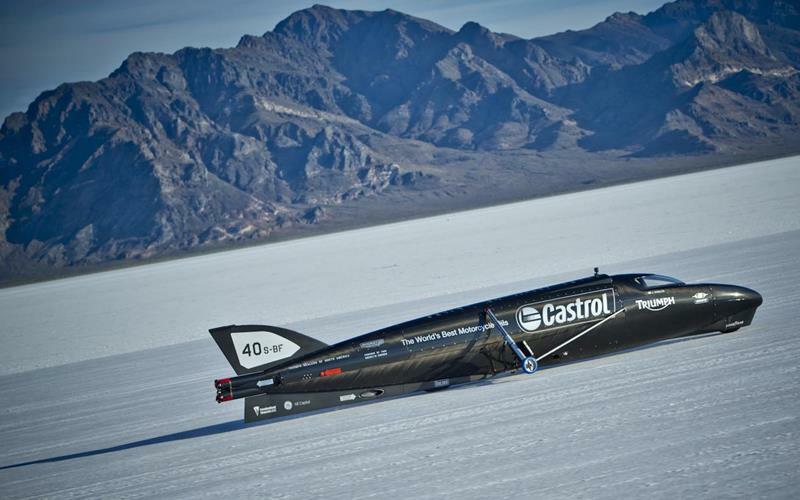 The 1000bhp monster, dubbed the ‘Castrol Rocket’ and piloted by ex-Moto2 racer Jason DiSalvo, is undergoing shake-down testing at Bonneville Speed Week in the run-up to an assault on the current land speed record of 376.156 mph held by Rocky Robinson. The target? 400+mph. More in MCN soon.